When I applied to intern at Writers in the Schools (WITS), I wasn’t exactly sure what I would learn. As an education major, I had no background in creative writing and very limited experience with non-profits. I wondered what sort of insights would I gain from working with WITS. Two short months later, I am leaving 1523 West Main with an armful of incredible experiences and valuable lessons learned. Getting to be a fly on the wall at the WITS office this summer, I was given an authentic experience of the non-profit world. I was invited to sit in on meetings, converse with the WITS staff, and participate in the summer programs. From those opportunities, I have learned about non-profit structure and some of the challenges of non-profit involvement in education. I now have a true appreciation for the “behind the scenes” work of non-profit programming and am grateful for the effort that non-profit organizations put into positively affecting the community. Interning with WITS has also influenced the type of teacher I will be in the future. Before WITS, I really hadn’t given much thought to the involvement of creativity in the classroom. That’s what the art and music teacher focused on, right? After observing the Summer Creative Writing Workshops this summer, experiencing how the students became so engaged and excited about learning and teachers who were passionate about authentic learning experiences, I will never again disregard the importance of creativity and imagination in the classroom. I realized that when a teacher’s emphasis is moved from student performance to student experience, engaging students with opportunities to explore and create, authentic learning is the natural result. The teacher is also provided with an incredible platform to get to know a student through their artistic expression, enriching the student-teacher relationship. Through WITS, I have gained this understanding, which will affect not only how I teach, but also the students that I teach. 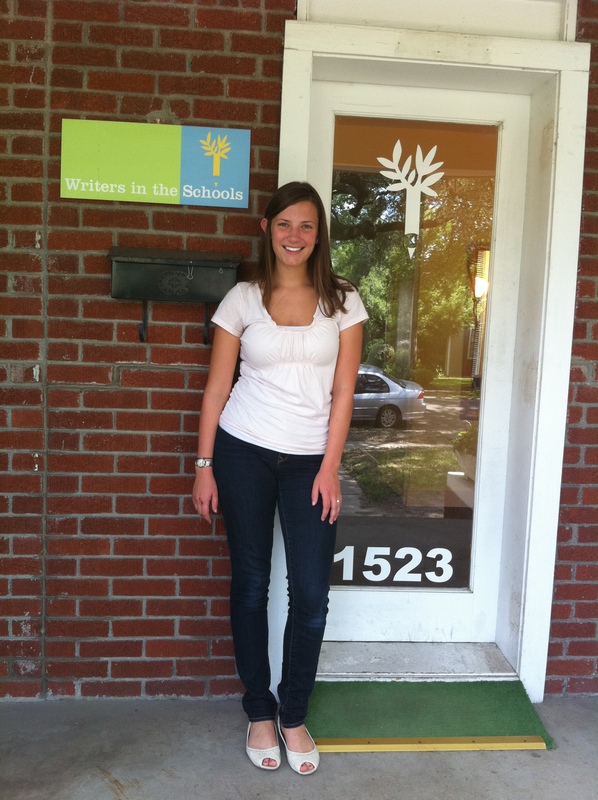 I am honored to have been welcomed into Writers in the Schools this summer. I am grateful for my experience of working for an organization with true passion for quality fine arts education and belief in the importance of every person’s story. Thank you WITS, for the lessons I have learned and the experiences you have given me. You will always be a part of my story.